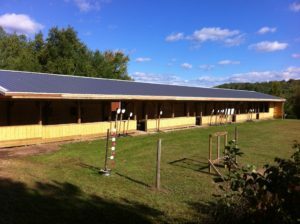 we operate on the dunn county public shooting complex located at n8489 810th ave colfax, wi. Located 2 miles south of colfax and 1/4 mile east on US Hwy 40 on 810 Ave.
We are a non-discriminatory organization so the public is welcome any time the range is open for a competition or open shooting hours. 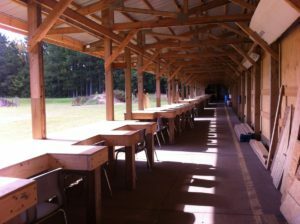 Through the summer months we host many different trap, scholastic and action shooting sport events. Please see the menu above for the events calendar and also our various pages for these sports. we welcome new club members daily and Our meetings are held at the range on the first Wednesday of every month at 7:00 pm sharp. You are welcome to visit a meeting to see if you would like to join us in promoting Sportsmanship in all outdoor activities. The Colfax Sportsmen’s Club is a non-profit 501c3 organization and therefor is equally owned by all members in good standing. The object of this organization is to encourage and promote a positive image in regards to all outdoor activities including but not limited to; The Colfax / Dunn Co.Shooting Complex, hunting, fishing, snowmobiling, wildlife management, conservation, and any other outdoor activities that the membership deems appropriate.